Double up Ducks Slots | Claim £250 + 30 FREE Spins! 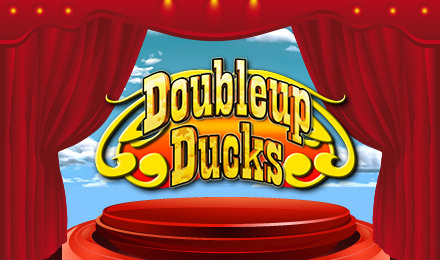 Head to the carnival and play the entertaining Double up Ducks slots! The Pink Elephant Wild can help you complete paylines and win Coin Prizes! Take a trip to the fairgrounds to play Double up Ducks slots! This carnival game themed slot features 5 reels, 25 paylines, and colourful graphics! The cute symbols include balloons, lollipops, tickets, and stuffed animal prizes! Look out for the Duck Shooter symbol which is the Scatter and can trigger the Free Spins Bonus round when you land enough on the reels. In this round you get 15 free games which can be retriggered to help you win even more! The Pink Elephant is Wild and can sub for other symbols to complete winning paylines!